The feeling you get when you think of something amazing then forget it and know that it felt amazing but you can't remember the details. Then, minutes later, you remember it again and you're so grateful because you nearly lost something amazing, forever. Except, this time, it's a person. Not an idea. I wish that I could find that amazing person. I am just getting out of a bad relationship so the idea of an amazing person seems far off. Any one else feeling this way? Maybe that will help me to feel less alone. ^ I've never experienced this something "amazing" with regards to a person.... but this does give me hope. The worst is when u've found that one "amazing" person but the person has to go away. And all u are left to do is to hang on to every bit of details in vain hope that if you never forget them, you'll never lose that something amazing. I've lost you. And I miss you. There are three "amazing" people who hold my heart, the problem is: 327 miles and 2350 miles and 79 miles. I hold my breathe waiting for such a moment. that one amazing person had gone away. the world is round so they say, so perhaps we'll cross paths again. i just hope he won't have forgotten me. I secretly pray that I can be that amazing person for you. You've spelt it 'minuets', which is actually more appropriate. Someone I've known for years is truly unfolding into 'amazing'. I look forward to the time when we can amaze each other. i sent you this link and if you see this i want you to know that i can't wait for you to come home. and that i am crazy about you. Lover lover, you're not just amazing. you're the right one. and we only find the right person once. and if you decide to be gone, then i'll just be lost forever. there's no replacement for you. but you are always, always, 'Lover' to me. I love you and I miss you, amazing Lover. You make my heart expand with your words. 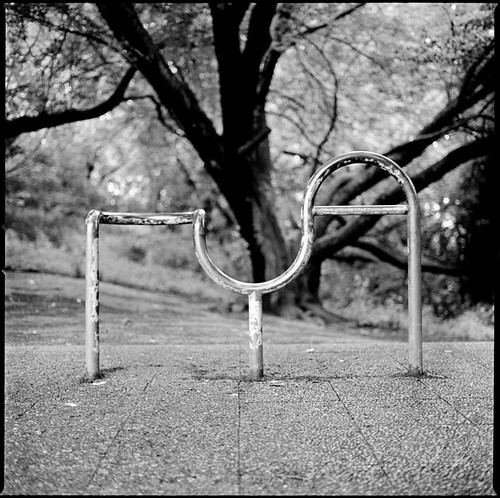 I like that incredible bike rack: a flat bar, a dip and an arch. What possibilities. i'm so touched by this entry. every opportunity shouldreally put into good use. waiting on an amazing person is like waiting on a river to flow up a mountain. He'll see it one day. Probably when it's too late but that is how this sort of thing always goes. Is this my omen not to give up? It starts by taking strange pictures.